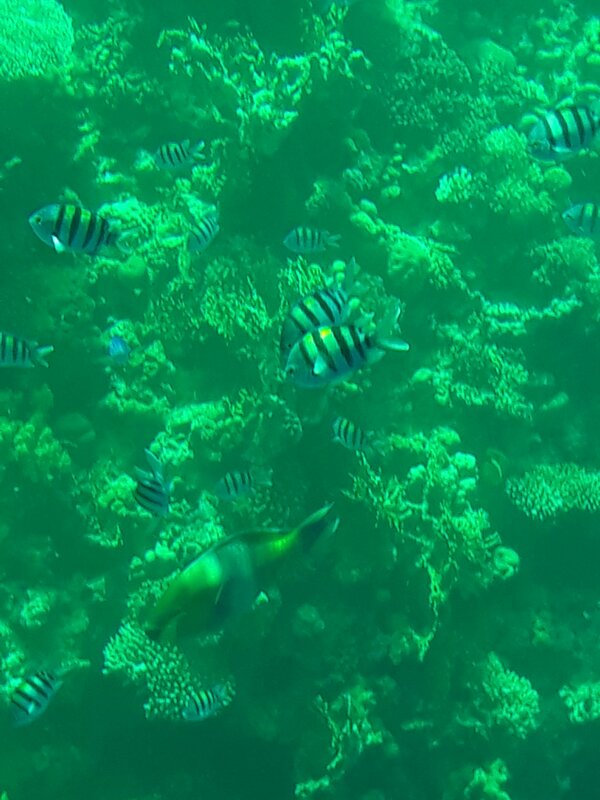 I’ve had the pleasure of taking my kid to watch fish and coral reefs at the bottom of the Red Sea (Sharm el Sheikh in Egypt)… Yesterday via a glass-bottom boat, and today via Submarine. She said “nothing is more beautiful than this”. It was. It’s an amazing experience. And photos can never capture its beauty or the experience itself… But here are some. 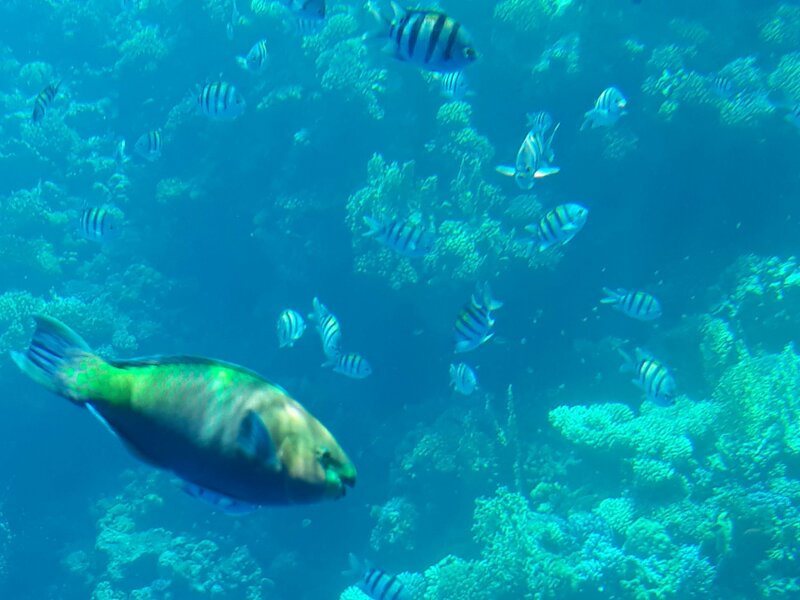 There is a particular fish I want you to watch out for called a Rainbow Parrot Fish. I mention it particularly because it looks v different in photos than in reality. Even the Wikipedia picture of it doesn’t capture its beauty. Nowhere near it. Notice how it looks different depending on lighting, depending on what surrounds it, depending on how close you are to it. 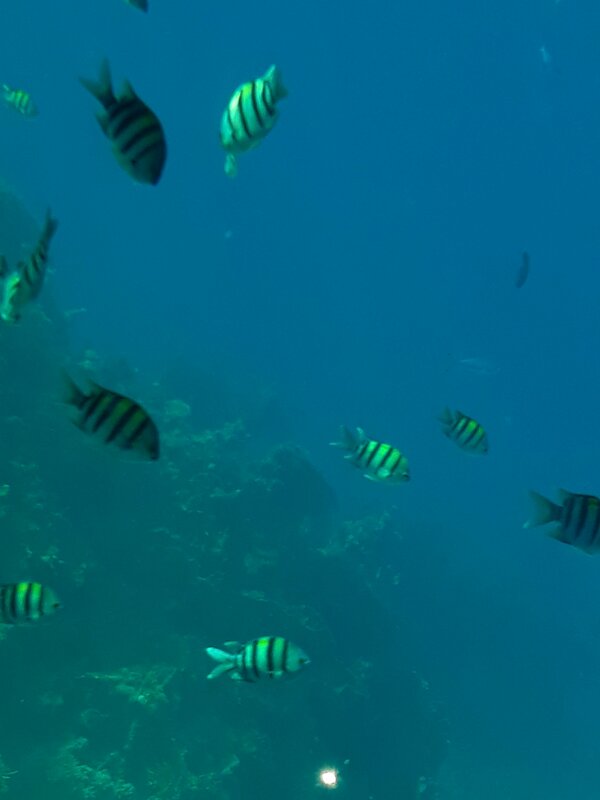 Notice how looking at it with different surrounding coral reefs and other fish can change the effect. I think social research needs to be looked at in a similar way, and I think I would like to share this with students if I ever teach them this. With social research, you try to recreate what you understand to have been a social reality at a particular point in time with a particular perspective. As an interpretivist, I am aware of how context and my own biases shape how I see something, let alone how I reproduce it as data and then interpret it for others. I take a photograph, and I know my photograph (my data collection) represents a partial perspective. The longer I stay, the more angles I take, up close, farther away, front, side, top, bottom, surrounded by coral reefs or zebra fish… I know that each of these gives me a different perspective. But i also know that the photo does not capture the experience… Something I as the researcher sense but that my data collection devices do not capture. What is more, I know that to explain to Others, I may need to recreate the photos superimposed on each other, or painted from scratch, or described in words. 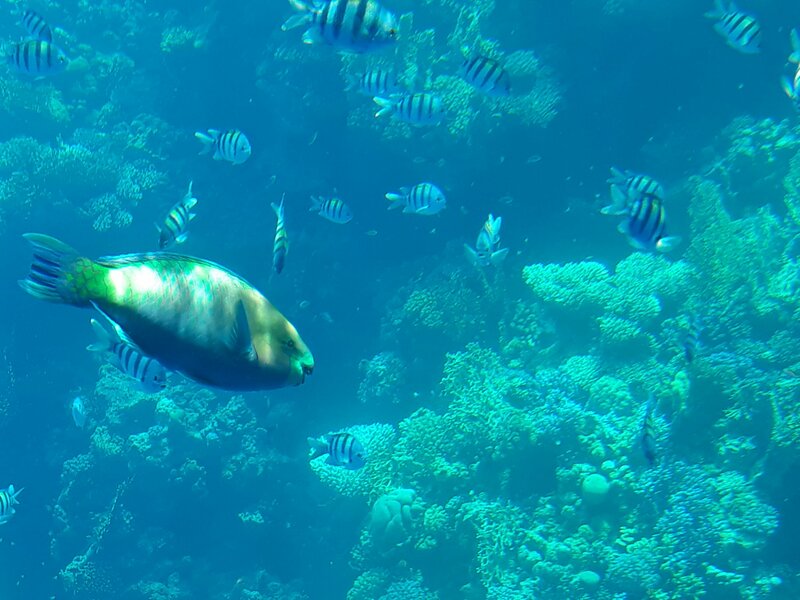 This rainbow Parrot Fish is gorgeous. Its colors flow into each other so elegantly from blue to yellow to orange to pink. Its eyes look like it’s got mascara (seriously) and its lips are a deep red. It’s gorgeous. We noticed it yesterday – my kid is obsessed w rainbows. Today the guide described her as his bride who’s got makeup on. She really looks like that. But the photos go nowhere near doing it justice, and it is not because I am a bad photographer. I assume someone scuba diving would get a better photo with a special camera. But I checked Google images. None of the images capture the delicate beauty of it. It looks harsher in those photos than the way I saw it.